The purchase of a yacht and the attendant running costs of mooring, maintenance, and crew can diminish the pleasure of owning a vessel. The Fort Lauderdale International Boat Show, the largest in-water boat show on earth, will return to Florida between the 1st and 5th of November, 2017. S/Y MOONBIRD is an award-winning racing superyacht built in New Zealand by shipyard Fitzroy Yachts. This luxury 37m sailing yacht was built in 2003 and has won pretty much every superyacht cups, and regatta she has ever entered. A refit 2 years ago means she is in tip-top condition, and is available for sale with Y.CO at 8.85m€. She has a beam of 8.4m, draft of 4.1m, weighs 160 tonnes, and has a top speed of 13knots. 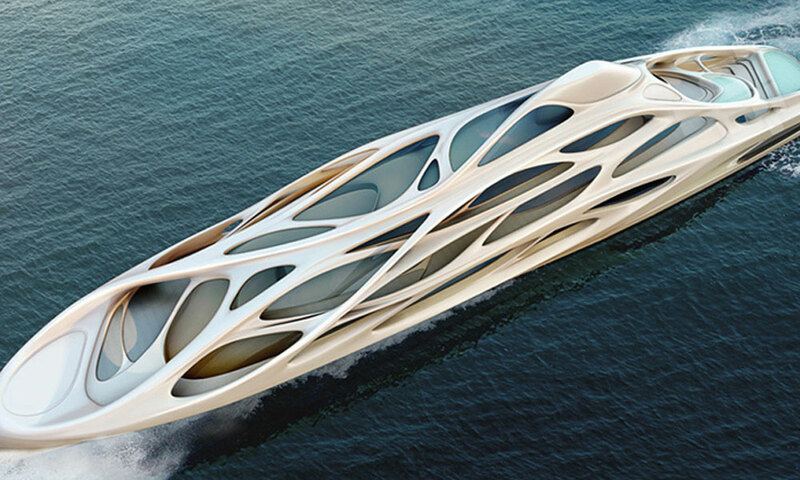 When it's a question of cool design, superyachts are the answer. At the forefront of innovative design, shipbuilders need to pull out all the stops to entice their famously hard to please billionaire clients. Luxury Yacht Charter turns a keen eye to the future for a glimpse of what can be expected in design, technology and performance in the superyacht industry. Fraser Yachts have announced the sale of the 88.8 metre superyacht, M/Y ILLUSION. This brings the number of yachts 50 metres or over that the leading brokerage company have sold this year to five. Currently in construction at Pride Mega Yachts, M/Y ILLUSION is the largest yacht to ever be built in China and will be delivered to its new owner in October 2015. Sailing boats provide a deep sense of freedom and allow you to have a lot of fun on the water. The yachts that are the most fun to sail offer the best maneuverability and performance on the sea. Captain Nason presents the Jeanneau Sun Odyssey, which is a single boat of its kind. Through the rocking waves and splashing water on the hull, you can discover the beauty of sailing aboard a Jeanneau Sun Odyssey. Introducing one of the world’s most extravagant luxury mega yachts ever built for the exclusive yachting world, The Sovereign. Most certainly built for kings & queens, monarchs, and the millionaires and billionaires of the world, this magnificent creation is made by the genius engineers and designers of Sweden based company Gray Design.